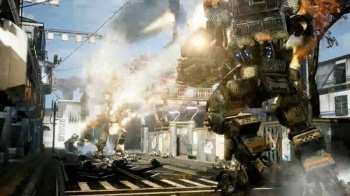 You won't have to pay a cent for any new game modes Respawn adds to Titanfall. "We want new modes in the next big update, not DLC," said a fan on Twitter, to which Zampella replied "Modes we release will be free to all, not part of DLC." That's certainly eased our minds a little, as too often DLC packs have a habit of "fracturing" the community, by disallowing players without the DLC to play certain game modes with players who do. Zampella also said that the game's first DLC is already "in the works," but added that it is not quite done yet, and doesn't have an official release date. He confirmed that it would be included in the Season Pass, or be sold separately for $10. Since there won't be new game modes in the DLC, we can probably assume it will contain new maps, weapons, and titans. How this will work for people who don't have the DLC is not known, but in similar games such as Battlefield 4, DLC owners and non-DLC owners can still play together on non-DLC maps, even while using DLC weapons. Hopefully Titanfall uses a similar system.